Today, the AAFD Headquarters Hosted 6 Mars Area School District kindergarten classes in 3 separate trips with approximately 150 students for a station tour and fire prevention/safety lessons. 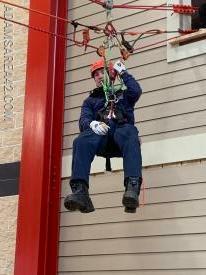 This weekend, the AAFD members finished up our rope rescue series training with Rope 4. In the morning we practiced rigging the various high-line systems from the ground, then from an elevated position. During the afternoon, we put it all together and practiced on the highline systems with rescuers on rope and picking up patients. 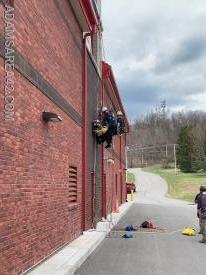 This weekend the members of the AAFD continued our rope rescue series training with Rope 3. Basically, we did a lot of hanging around, with members practicing at handling a victim, getting the victim into a stokes basket, and moving around the littered victim for patient care while on rope. 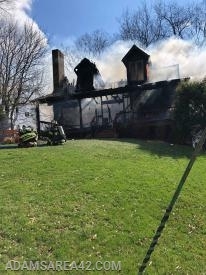 In continuing with the SAFER Group motto of "Our best response on their worst day on our worst day", members from all SAFER Group (Station 90) departments participated in a training weekend at BC3 utilizing the burn building for live fire scenarios.